Remember when you were a little girl and you folded a bandana and tied it behind your head to keep your hair out of your face? Well, be that little girl again with “Bandana Bands”! Yes, Hippie and Chic can be used to describe these kerchiefs. 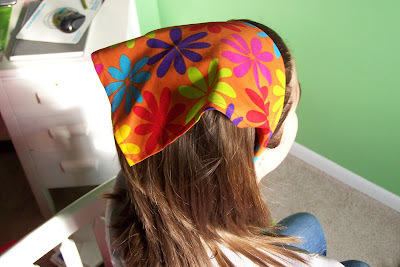 The fabric is Hippie Chicks and the design – a cross between a bandana and a headband – makes it chic. 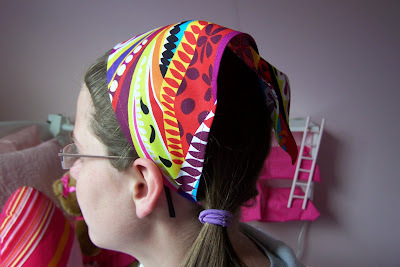 Instead of tying the bandana, the Bandana Band has elastic under the hair to ensure a comfortable and easy fit. These will fit preteens to tweens to adults. Just in time for summer fun. See my Etsy shop for more details.